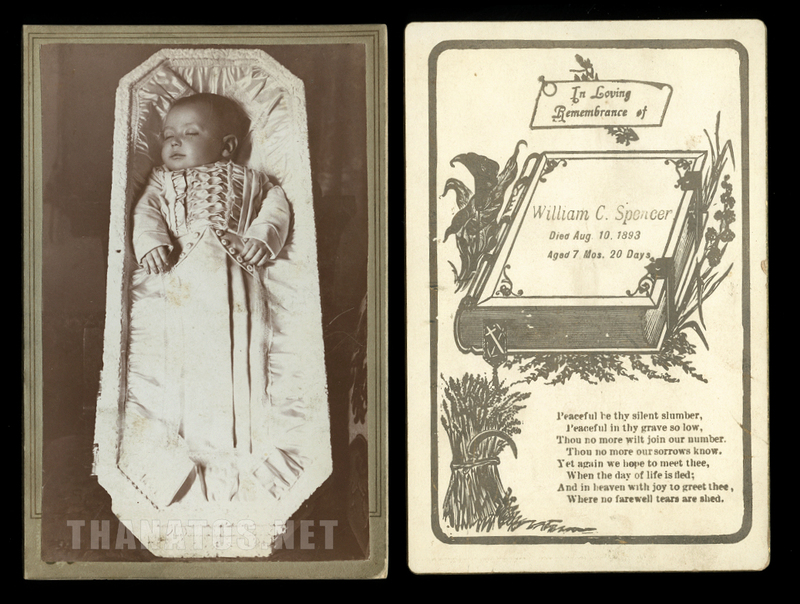 Two original cabinet cards, a child in coffin and accompanying memorial card. These were purchased together, so the the boy is probably William Spencer. 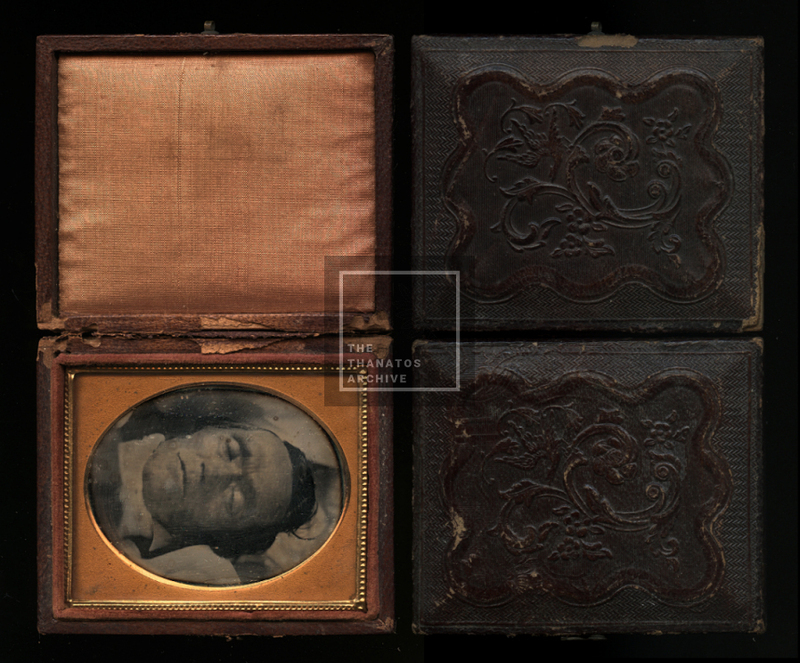 Both are 6.5″ x 4.25″ with blank backs. 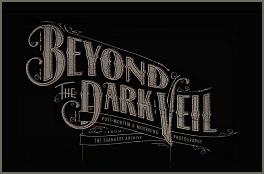 Before shipping, you will be asked to confirm your Thanatos Archive membership info. Please feel free to contact me before purchasing if you have any questions. I can ship internationally but the shipping cost will be different (higher). Contact me at info@thanatos.net with your country and address for a shipping quote. 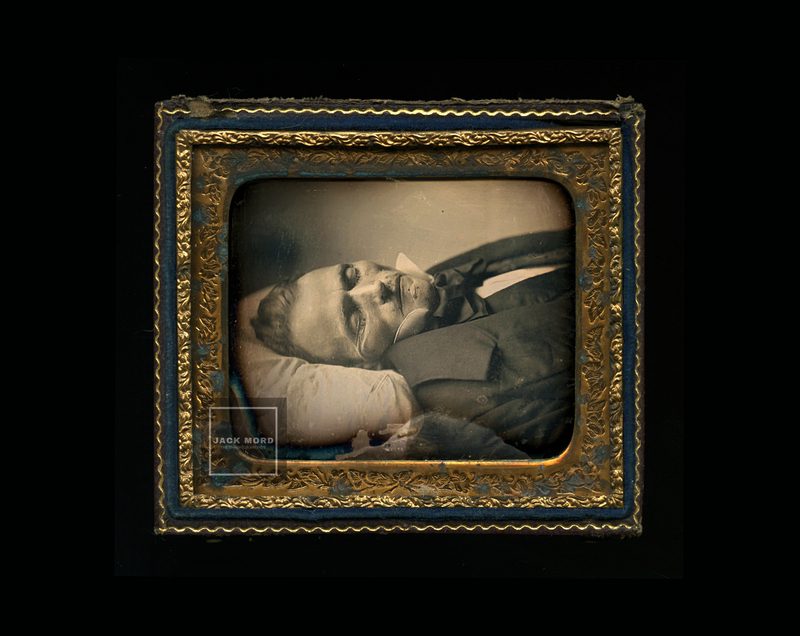 Half case, resealed with archival tape at some point. Very good antique condition overall with some light spotting and marks on the plate, but no scratch or swipes type damage noted. 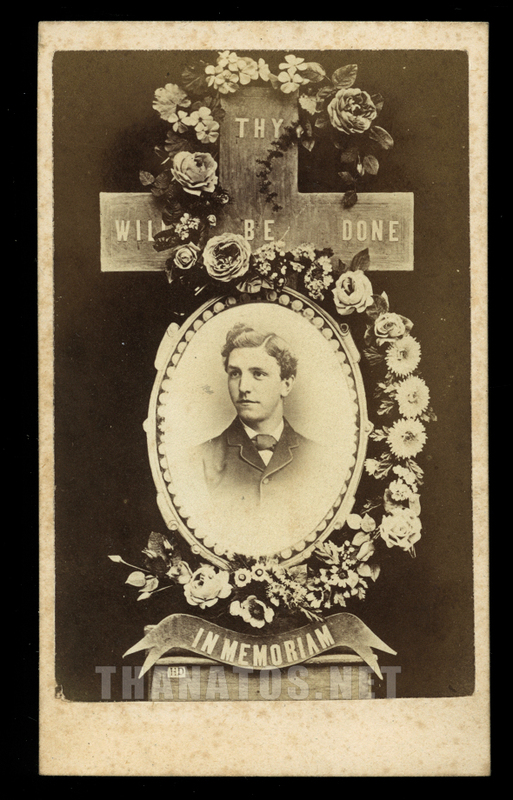 Original 1870s memorial CDV for a young man. 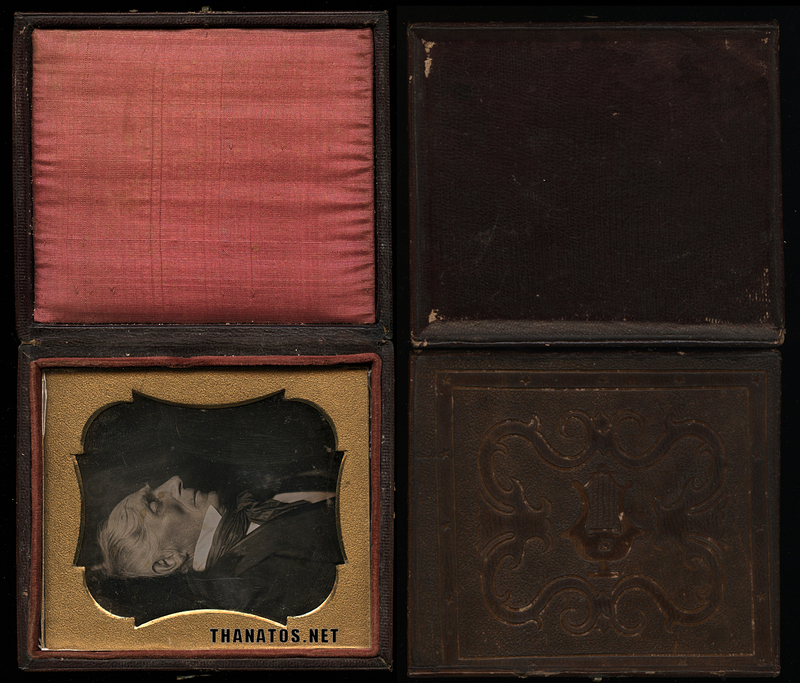 4″ x 2.5″ with blank back, as produced. A very nice example.